Youngest child remains a child forever. Well, it is true. Me, being the youngest was not considered fit for the role of being mommy and I was given instruction at every breath I took. Well, not that I didn't enjoy that attention from my family, but it did make me feel that I am just a kid, how am I ever going to handle another one. Someone or the other was always there to help me throughout a year and a half. So far so good. But for me, that mother-confidence that I can handle her all by myself never built up. Amidst of all these confusions, I had to travel with my baby, to my home all alone. Plus, I had to stay at my place for a week. All alone. It was a very big deal for me. Somehow, I gathered all my courage and started my journey. Through the journey I took great care of her but from a nice looking restaurant at the airport, I fed her idlis, which no one in my family would have approved. I thought, big deal. It is going to be good. Well, I didn't know what I did, until the very next day. That night was fine, but next day was just a nightmare. My little girl started throwing up just everywhere. Even if she was eating medicine, she was throwing it out. I had to take her to a doctor immediately. Got her admitted. A whole day. ALL ALONE. The day was one of the toughest days of my life. This bitter experience did teach me a lesson. A lesson of being mommy. The whole craziness for home cooked food, the greens in food, the balanced food, the organic food, good food, bad food, healthy food, unhealthy food. Whatever and whichever way you say, I knew that it needs to be sorted in my mind. My little girl can't pay because of my ignorance. That day taught me to read. Read behind the packet, read the ingredient, read in detail on the web, read in day and in night about the healthy food. Just because a advertisement was great, that food didn't reach my home. It was well researched, read about and I was to be satisfied that, that packet will make my child - stronger, fitter and healthier. I found one product which my mother always fed me when I was a little kid - Dabur Chyawanprash. 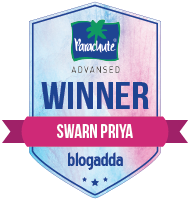 It was a everyday ritual to have a spoon full of Dabur chyawanprash at my home. But in the drama of life, I forgot something that healthy, which increase your immunity, exist. Well, it is never too late for anything. Although, Dabur chyawanprash is a time-tested formulae for good health, for my satisfaction, I researched it thoroughly. The growing allergies and powerful germs can't be avoided, but increasing your child's immunity to fight back these germs is in your hand. 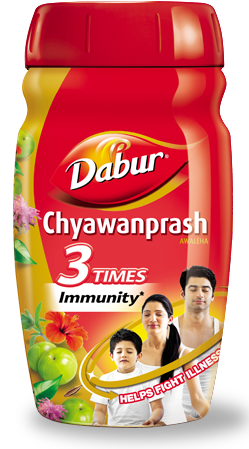 Dabur chyawanprash has Ashwagandha and Guduchi for increasing the immunity. In this era, even the milk is adulterated with water and what not. Hardly anything is in its pure form. There should be something to increase the strength. Dabur chyawanprash has Bala which boost strength. Some of the packaged food, like chips, chocolate, jelly, pizza, burgers and what not has hit the market. Sometimes it is unavoidable to give to the kids. Of course, taking in account from where are you buying it. But they do a lot digestion problems. Dabur chyawanprash has Amla, a fruit which is considered to cure any disease and helps in digestion process. I wanted to feed my baby with a miracle food which is rich in all kinds of vitamins and has minerals like - iron, phosphorus, potassium, copper and many other goodness. Dabur chyawanprash has Asparagus, which is a high fibre food with all the above mentioned vitamins and minerals and many others which are not mentioned. It is my miracle food. With growing number of cosmetic, there has to be something which keeps are skin balanced and makes you look beautiful and young. Of course, I always want to look 18. Dabur chyawanprash has Vidarikand and Sesame oil, which keeps your skin good, healthy and rejuvenated. These are just a few things from my findings. There are many many more benefits of Dabur Chyawanprash. Of course, it is a miracle product. I trust this product. Just a spoon-full of Dabur Chyawanprash, makes me feel that it is going to protect my daughter when and where, I can't. 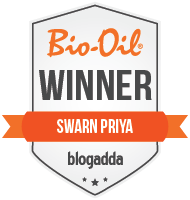 This blog is part of Indiblogger contest in association with Dabur Chyawanprash. I can relate myself with you in some situation. Thanks for sharing this product. I will also going to buy chawanprash .